my 1:1 support is at the forefront of each & every one. Take a closer look inside this package. Need more help to get started but still on a budget? Then my Fast Track pack is for you. It includes everything in the accelerate pack plus eleven important additions, the details of which are listed below. One of the questions I am asked repeatedly – in fact the question I am asked most often – is ‘How do I get clients?’ This was my biggest worry when I started out and believe me I got it very wrong and wasted a lot on money in the process! I really want you to avoid the mistakes I made so we’ve specifically designed the Build your Business Programme to show you how to get clients without having to ‘sell’. Yes, that’s right. Whilst most sales programmes teach you how to become a salesperson, that’s not for everyone, in fact, it’s often the bit they hate! In the Build your Business Programme I’ll show you how to position yourself so you’ll have clients coming to you. 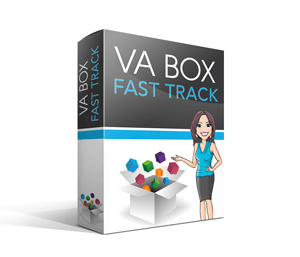 The Fast Track pack also includes 20 hours of expert support from my VA team and as a bonus, if you are one of the first 10 people to sign up, I’ll also give you my Client Legal Agreement as a bonus (Value £250) for free. We have a fabulous relationship with the design company we use… They’ve built many VA websites now and they know what works….Includes a full guide of how to manage, maintain and update your website… simple step by step guidance. A professionally designed business logo and branding created by our graphic designer, with your input, so all your communications impress. This includes correctly sized images for your social media pages and if you’ve ever tried to do that yourself you’ll know what a hassle it can be. Business Card & Flyer Design – it’s about making the right impression with design.. and if you have the Logo, the website and your business card and flyers designed by the same company.. it really helps you to stay in control of consistent branding and give the best impression to potential customers. You’ll get 20 hours of VA support – yes, my team at Viva are on hand to help you as you work through the Business Start-up Programme. No question is too small and we are there to hold your hand, all the way. This isn’t one of those products you buy online and never hear from the seller again. And, by getting a taste of what it’s like to be a client, you’ll be able to model exactly how a successful VA business operates in the real world. We’ll also set up your social media pages for you to give you a professional-looking online presence, and a way to market your business through social media. Your investment in this programme is GUARANTEED – A ‘No Fail’ Guarantee! Everything in this programme has been designed to get you results IF you follow the simple steps in good faith, and you feel it’s just not working for you at that point, you and I will get on the phone and figure out how to make it work. If you follow my advice, and it still doesn’t work, well I don’t think it’s right that I get paid if you don’t succeed so I’ll give you your money back, in full and wish you well… and you can do that at any time. THERE IS ABSOLUTELY NO RISK TO YOU. Helping you to look at your skills and strengths… Including defining your USP. Creating business processes gives consistency for your clients and saves you a lot of time and energy and lost income… Remember your time is money! A complete guide to creating solid relationships with your dream clients via email. All of the tasks you need to fully set up and launch your business broken down sequentially in an easy to follow guide – designed to keep you focused, on track and more importantly to ensure you don’t miss any of those really important aspects that can make a real tangible difference to your success. 6 Mentor sessions with Me or my business partner Noel – He’s fab for ideas too as well as any Financial support being a Chartered Accountant.. there’s not much he hasn’t seen before. This is a great opportunity to pick our brains or run ideas past us for guidance. These are your sessions and we are really happy for you to tell us how you’d like to use them. This is our most popular package! If you’re interested please arrange a call. You’re making a sensible choice with the Fast Track package, and it’s always nice make sure it is the right one dealing with somebody who has been in that position previously. Let’s therefore have a chat to talk through the details & timescales. This is our comprehensive training programme and roadmap with daily activities covering all the essential requirements (legal, accounting, tax, company set-up etc.) and questions we know people have. The whole thing has been designed specifically so it’s a step-by-step process you can ‘pick up and put down’ and make progress as and when you have the time and energy and around a current job or other commitment. It’s really that flexible. We’ll give you an easy to use spreadsheet package to keep your books and record all your income and expenses. This will provide all the information you need to comply with HMRC requirements. It also comes with an, easy to use budgeting and cash flow package so you can work out your how much you can earn, your costs and overheads and your cash flow. Don’t worry, we go into detail about how to set up your company and what’s required when it comes to your business accounts, paying tax and getting paid. But everyone has their own unique circumstances and with this call with our Chartered Accountant – my business partner, Noel, who has many years of experience advising small business owners (like you will be!) – you can get tailored advice specifically for you. Over the years I’ve created an array of time-saving software – through vigorous testing, and lots of trial and error – and I’ve called it my Tool Kit. These recommendations will fast track you to the best software and cut out the time and pain of doing the research yourself. 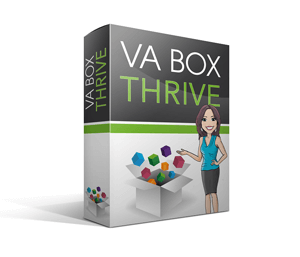 A lot of people are put off starting their VA business because they’re concerned about contracts and agreements. 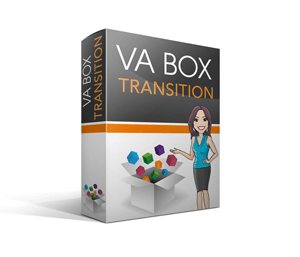 But with this document, professionally drafted by a solicitor, specifically for a VA business, you don’t need to be. Mentor sessions with Me or my business partner Noel – He’s fab for ideas too as well as any Financial support being a Chartered Accountant.. there’s not much he hasn’t seen before. This is a great opportunity to pick our brains or run ideas past us for guidance. These are your sessions and we are really happy for you to tell us how you’d like to use them. You’ll discover exactly how to get clients… as well as the marketing dead-ends to avoid that will just eat up your time and money (believe me, I’ve been there!). Based around our 5 step process that will enable you to quickly position yourself as an authority on managing the admin of a small business, delegation and outsourcing. This will help you to connect with your ideal prospects, leading them through processes that will generate leads and incoming telephone appointments that just need to be followed up. Like the Business Start-up ‘Foundation’ part of the programme, the training is a step-by-step roadmap of activities that are very easy to follow. So we know that confidence is really important in business. It can impact so many areas of your business… Put simply.. It can make the difference between picking up the phone to a potential client who’s interested in your service and bringing them on board… or not! The Boost program has over 10 detailed video modules designed to complement your Business Start-up Programme, the Boost Programme includes lots of practical exercises, a series of tools & techniques that will help you to understand yourself better, andovercome the challenges of setting up and running a business. This course has been put together by two fantastic performance coaches who coach people to success in both their business and personal lives- they have extensive experience of working with small businesses and recognise and feel passionate about the issues facing working parents. So these are really great… We’ve taken the time, effort and potential loss of customers from you by designing this series of emails which are set up for you to tweak with your own info and branding but have been tried and tested to ensure they are great ways to communicate with your customers / potential customers – This might not sound like a big deal but having the right tone.. knowing what to say in an email and sounding professional is so important when speaking to potential clients! Used along with your customer management software such as Mailchimp / Aweber or Active Campaign… these really will help to build relationships even before these prospective clients become your clients. It’s great news that you want to take control of your future, and it’s always nice to talk it through with somebody who has been in that position previously. Let’s therefore have a chat to talk through the details & timescales.